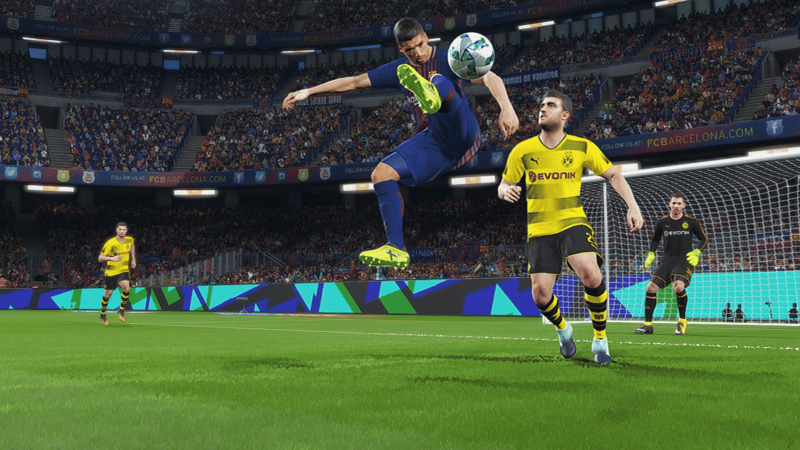 The PES 2018 release date is approaching, and after an open beta, Konami decided to release also a demo of their upcoming soccer title. Sports Gamers Online tried the PES 2018 Demo on an Xbox One. To play the game, you need to download a bit more than 4 GB of data, that is, about one GB less than the open beta. 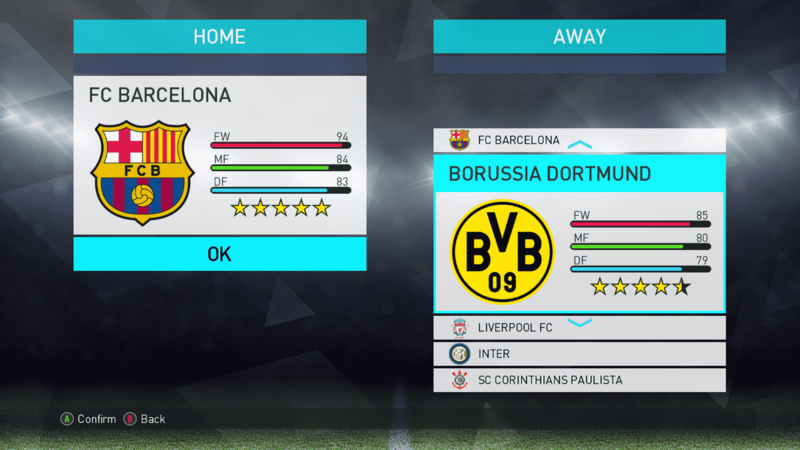 The PES 2018 demo features 12 teams, 4 from Europe (Barcelona, Borussia Dortmund, Inter and Liverpool), 5 from South America America (Boca Juniors, Colo-Colo, Corinthians, Flamengo, and River Plate) and three national teams, (Argentina, Brazil, and Germany). 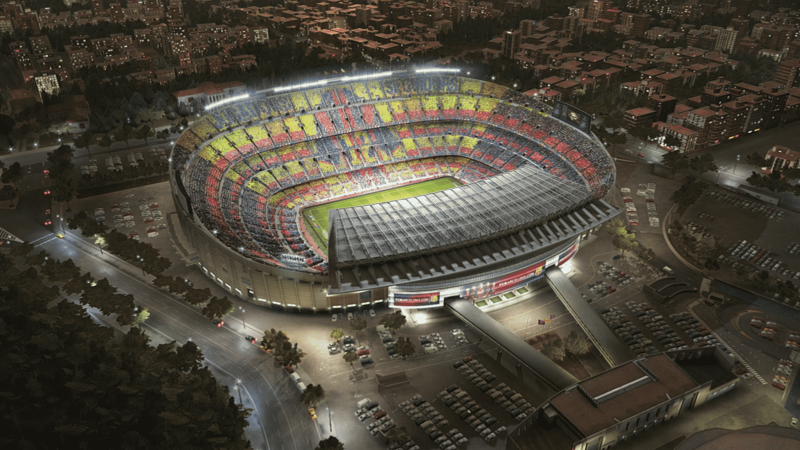 You can choose between playing at Barcelona or Borussia Dortmund stadium, Camp Nou and Signal Iduna Park respectively. Graphics went a step forward with the demo version if compared with the beta. The graphics were good already, but now there are more lightning effects, more dynamics, players look sharper, and the animations are a bit more fluid, although not every player is very well rendered. Leo Messi, for example, has a very realistic look, while other players, like Andres Iniesta, don’t look that sharp. And in some animations, players get gigantic hands, but this will most likely be an easy fix. The gameplay is very similar to the one we had with the online beta, albeit some improvements are quite obvious. In particular, the physics of the ball are now more realistic in most of the aspects. The soccer ball stopped being a flipper ball in some game situations, and bounces and rebounds are more realistic. However, I have found myself stuck in a traffic jam more than once due to the ball bouncing between players, not exactly a very realistic thing, even if it really looked smoothed out if compared with the beta. The game reacts well if you play different players. It’s definitely easier to play if you are controlling FC Barcelona players, and for the sake of experimenting, I tried playing Leo Messi as a center forward instead of Luis Suarez with a long-ball style. The result was the expected one: he mostly couldn’t catch a ball and the experiment cost me the game. 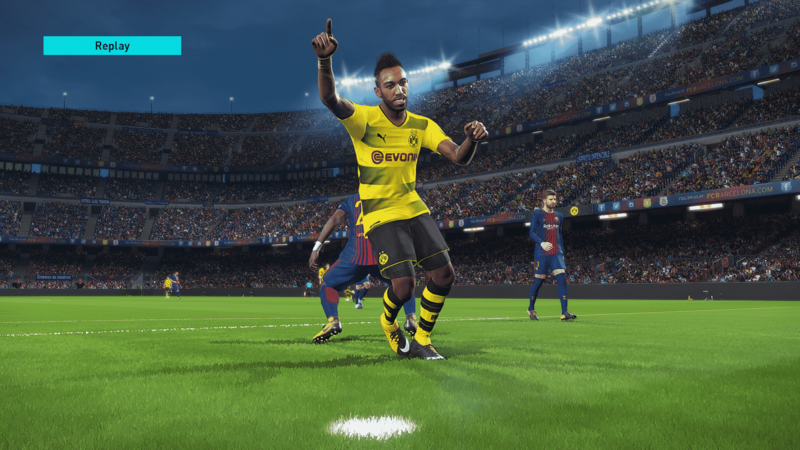 All in all, the gameplay is the kind of gameplay that you should expect from PES: a little more arcadish game with plenty of room for tricks and tactics personalization. But I need to highlight a couple of aspects in the following section. “Players aren’t always fluid or fast enough. 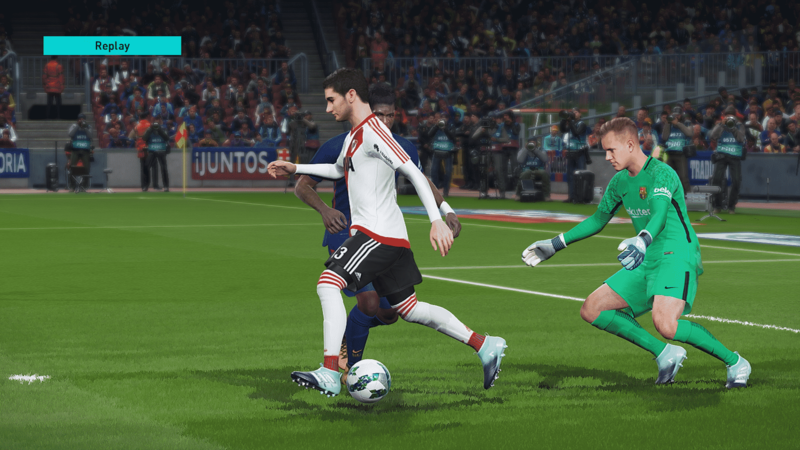 Sometimes a player takes forever to gain position, take the ball and turn” – this is how I described the negative part of the gameplay for the online beta, and unfortunately, this aspect hasn’t changed as much as it should. The engine has indeed made some strides forward, especially when you play with more agile players as Messi or Neymar (still on the FC Barcelona squad, by the way), but even with bigger players as Suarez or Pierre-Emerick Aubameyang you should be able to play faster, but all things considered there is not enough fluidity in the game engine. Another thing that sticked out is that AI players rarely miss passes at all. Goalies didn’t convince me. They were probably the biggest step forward if compared with the beta as I didn’t notice strange behavior, even with the less-touted goalies of the demo, and this is a good sign, but they ultimately aren’t realistic enough. In case of a long shot, goalies tend to have a huge dive in the ball’s direction to catch it in a perfect save as they are remote-controlled. It’s not realistic for two reasons: first, most of the dangerous long shots are actually saved off to a corner kick, and not blocked with an apparently effortless diving save by the goalie, and second, you get to see this kind of saves multiple times during a game, when such huge saves should be much rarer. However, this doesn’t have much of an impact on the outcome of the game as it’s mostly an aesthetic thing, in the end. Refs were improved too. They are less strict, and yellow cards are used with a much lower frequency. In the open beta, sometimes the ref won’t allow the active team to play the advantage, even after a minor foul at 200 feet from the net, and I expected it to be fixed for the demo, but it was not. The game made a number of strides forward since the online beta. It’s undeniable that the devs are trying hard to iron out problems and I can see a good direction. 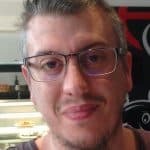 The game will most likely get a patch on release date, and I am sure that even more problems will be addressed. It looks like PES 2018 will be a very good game, even if it has some problems.